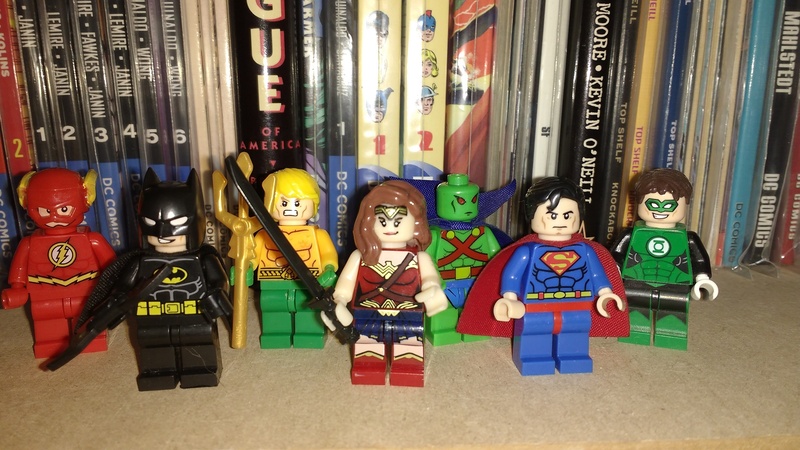 We all know the minifigs are the best part of Lego sets but to get a full set of Justice League figures would cost hundreds of pounds, which is money I don’t have . . . at least not to spend on myself. Sure, over the years I could buy sets for my nephews to get hold of the figures . . . but then I’d have to steal the minifigs from them and that would put a serious dent in my cool/weird uncle status. Instead, I headed to ebay and found numerous sellers selling “custom” figures which makes me think they’re not entirely authorised but what the hell, eh? 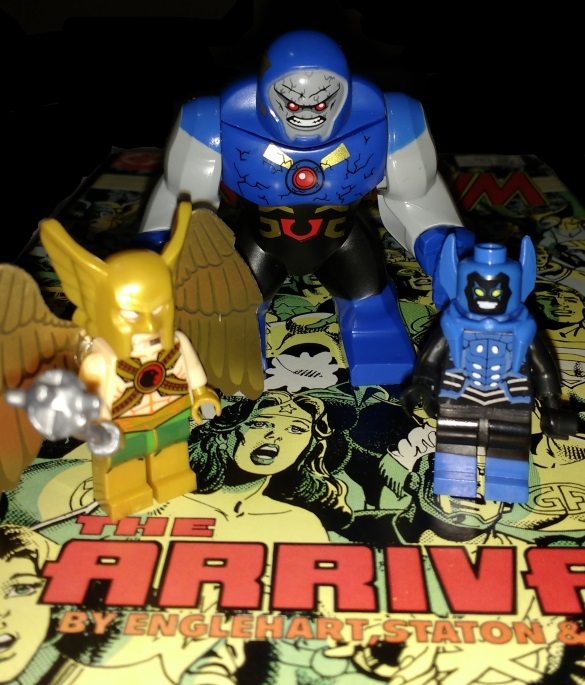 Twenty quid later and I have the Justice League in Lego minifig form stood on one of my shelves – not to mention the bonus Blue Beetle, Hawkman and Darkseid figures I picked up as well just for the hell of it. I fear I may have inadvertently started a new collection . . . Justice Society next, maybe? Or the Secret Six for Mrs Earth-Prime? Either way, I can take comfort from the fact that I can always blame my mate Spike for last year’s Christmas present. It’s all his fault. Posted on Wednesday, February 8, 2017 Monday, October 15, 2018 by GaryPosted in UncategorizedTagged Aquaman, Batman, Blue Beetle (Jaime Reyes), Darkseid, Flash (Barry Allen), Green Lantern (Hal Jordan), Hawkman (Carter Hall), Justice League, Lego, Martian Manhunter, Superman, Wonder Woman.